Every year on the second Sunday of May, we come together to celebrate the women in our lives who raise our kids, kiss our boo-boos, and cheer us on from the sidelines. Mother's Day is the perfect time to show the moms in your family just how much they mean to you. Of course, mom will appreciate the same old chocolates and (macaroni) jewelry she receives every year, but we all know that what she really wants is time spent with her children — no matter how old they may be. If you live in or will be visiting the Houston area, here is a list of fun activities and events you can share with mom this Mother's Day. Bonus: Some of them are even free! Tip: This is a popular event, so be sure to phone ahead to make reservations by calling 713-315-5112. Mother's Day Weekend at the MFAH is a great way to spend the holiday with your family. In addition to taking in the art and permanent collections, the museum offers special activities and even discounted tickets for some of its locations, including free admission to the Bayou Bend Collection and Gardens. Bayou Bend houses the museum's decor art and furnishings and sits amid several breathtaking gardens that are perfect for a relaxing afternoon or (even better!) a family snapshot. Treat mom to a fancy brunch at one of Houston's most luxurious hotels. The Houstonian offers a range of price options, from a simple a la carte meal to a full brunch buffet. Those wanting to go all out can dine in the Grande Ballroom, where in addition to a lavish buffet, families get complimentary champagne and mimosas. It's a bit of a splurge — prices are around $100 for adults and $40 for children aged 5 to 12 — but mom is worth it. After brunch, give her the gift of a massage or facial at the hotel's full-service spa and leave her to enjoy some quality "me time." Miller Outdoor Theater offers a range of great shows and concerts throughout the year, and Mother's Day weekend is no exception. If your mother is a lover of the arts, she is sure to enjoy a show housed in Miller's iconic outdoor stage. Admission is free; however, a ticket is required for covered seating. Tickets can be obtained the day of the performance between 10:30 a.m. and 1 p.m. This is one of the many great free things to do in Houston. Another great Mother's Day event happening in Hermann Park is hosted by the Hermann Park Conservancy. Moms and their kids can participate in a delicious breakfast at the park's Pinewood Cafe, followed by arts and crafts, pedal boats, and a ride on the Hermann Park train. What better way to celebrate the day than with some quality time out in the sunshine? Visit their website for details and to make reservations. Pro tip: If the temperature gets too hot or the kids too antsy, you can always splash around in one of the park's play fountains and splash pads or hide away inside the Houston Zoo's many air-conditioned spaces. This Galveston-area attraction doesn't hold back when it comes to mom's big day. 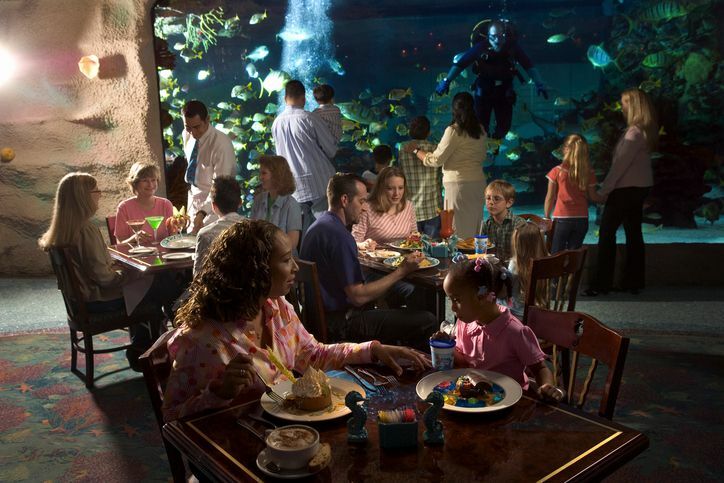 Moody Gardens offers a variety of events to help you celebrate the moms in your family, including seafood brunch buffets, sticky buns, and spa packages. When you're through, visit the other Moody Gardens attractions, or venture to the island's Pleasure Pier or water park. If the weather is really nice, swing by one of the area's best beaches to hunt for seashells or lounge in the sun. However you choose to spend the day, the important thing is you spend it together. Robyn Correll contributed to this article.